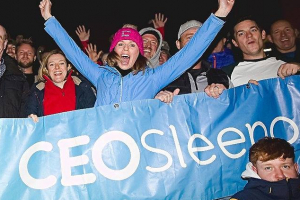 Tuesday 29th May 2018 saw the launch of this year’s CEO Sleepout Nottingham event which once again will be held at Meadow Lane, the home of the oldest league football club in the world, Notts County FC on Thursday 11th October 2018. IN 2016 we began our partnership with Notts County Football in the Community (FITC) to host the event in the Midlands. Choosing local homeless charities the Friary and Emmanuel House as additional beneficiaries of the event, FITC have overseen a fundraising increase from £46,000 in 2016 to a phenomenal £81,000 in 2017. 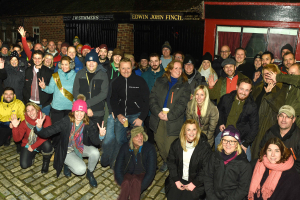 This year will again see business leaders from across the county and beyond sleep out pitch side at Meadow Lane alongside Notts County FC Chairman Alan Hardy who will be returning to take part again this year. Notts County Football in the Community’s CEO, Nikki Burley, is looking forward to this year’s event and hopes to see some new faces taking part alongside those that slept under the stars at Meadow Lane in previous years – “The CEO Sleepout is a fantastic initiative to highlight the important issues of homelessness and poverty that still occur on our streets, year after year,”. The launch event saw a host of past and future participants get together and learn more about the four charities and were joined by FITC’s mental health ambassador and Nottingham based singer/songwriter Rob Green as well as three time Olympic swimmer Joanne Jackson both of whom will be battling the elements in October. Last year’s record breaking event was a huge success and FITC are now looking for more brave and committed individuals, groups and organisations to get involved and make a real difference in the local community.